I’m one of those people who always complains about social media and how they own your data and such. 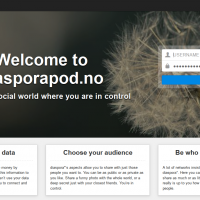 So I decided to do something about it (besides complain), so now I’ve set up a Diaspora pod that anyone who wants can use. 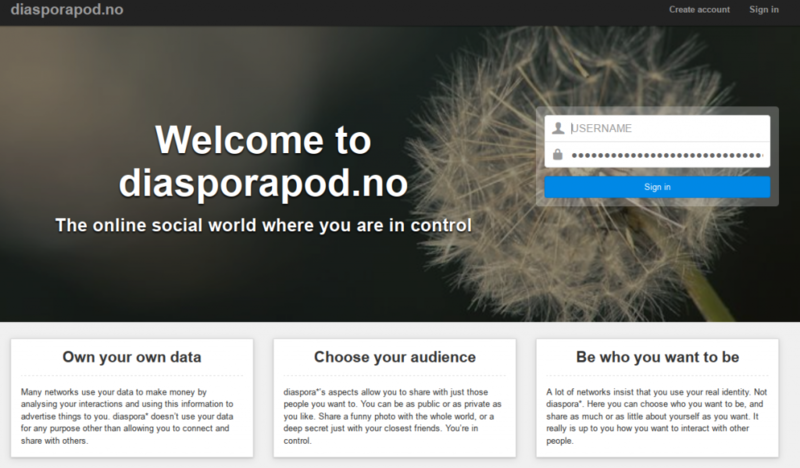 Diaspora is social media, but you own the data, there are no ads, no tracking etc, you are free to register as anyone you want. The servers are distributed, meaning there are not ‘1’ server, but many servers who talks together sharing statuses. You have very fine control over who gets to see what, no hidden ‘security’ features that are hard to find.You can also easily download all your data and delete your account if you want. This entry was posted in diaspora on October 12, 2016 by Stig Atle steffensen. Thanks for spread the net! !